Waitrose has seen an 800% rise in questions about plastic since the BBC’s 2017 documentary Blue Planet II. The supermarket received over 30,000 questions and posts about plastic on Twitter in just six months and according to a spokesperson, it has seen a "real shift in behaviours with customers wanting to do the right thing when it comes to their shopping." And this scenario isn’t unique to Waitrose. People are increasingly interested in how what they eat and drink impacts their health, their environment and their personal values. With climate change and obesity top of the media agenda, if brands want long-term success, they must look at their products through both these lenses. "It’s a tough time for many brands in this category, for soft drinks companies especially, with the sugar and obesity debates raging in the UK," says Ruth Allchurch, UK managing director at WE Communications. "Brands are having to innovate faster and impose their own self regulation to avoid further disruption. They need to push themselves outside their comfort zone when it comes to innovating and making their product relevant in today’s responsible and transparent society." Before a brand can hope to gain relevance, it has to understand how consumers think. According to WE Communication’s Brands in Motion(BiM) research, the food-and-beverage category is a "mover" in key markets like the UK and US. This means consumers have high engagement scores on both rational drives (does it work? Does it fit my lifestyle?) as well as emotional drives (does it connect with me? Do I have strong feelings about it?). This tallies with what Just Eat has seen. "You need those rational drivers – a product that works, is fit for purpose and offers consumers something of value," says Susan O’Brien, global brand director, Just Eat. "But equally, you need the emotional drivers too. Something that establishes a connection with those consumers – proving we care about the same causes and concerns they do – and helps us to stand out in such a competitive market place." Tiffany Cook, president, consumer, North America at WE Communications believes that maintaining a balance of positive emotional and rational sentiment among consumers is one of the biggest challenges for this industry. 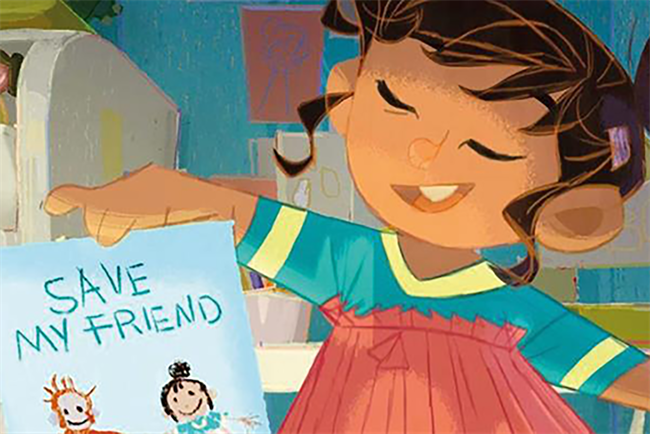 "In a world where robotics and automation are all the buzz, and the once coveted dinner-and-a-movie night-out ritual has turned into nights in, brands must strive to build an emotional connection with customers," she says. While high engagement is what brands are chasing in today’s interactive marketing landscape, they must realise that if a consumer is highly engaged in a category they are more likely to have stronger opinions that they are willing to voice. This is good news when consumers approve of a brand’s behaviour because they will be more likely to shout about it on social media. But high consumer engagement also means they are vociferous when they disapprove, or are disappointed in a brand too. "That they care means they feel let down if a brand doesn’t meet their values," says Allchurch. The BiM study supports this, showing that the vast majority (78% in Britain’s case, for instance) would "join in the public shaming" of a brand under attack. What happened with Pret A Manger, where customers suffered fatal allergic reactions after eating poorly labelled food, is a case in point. "This is an example of how the public could not understand how a company like that, which purports to be very ethical and responsible and in tune with consumers, handled the tragic crisis," says Allchurch. 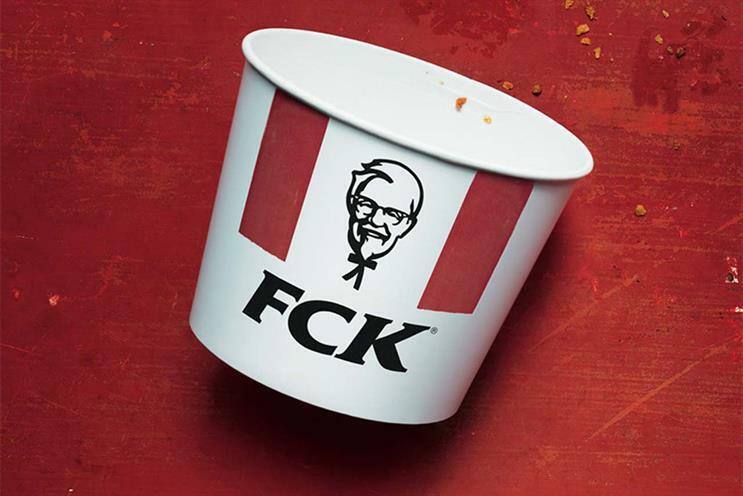 In very different circumstances, KFC is an example of how a brand should, in the modern market, handle a crisis. When it ran out of chicken in the UK last February and had to close some restaurants, the brand took ownership of the mistake. "This is a positive example of how a brand handled being shamed through clever communications and engagement. Brands today need to make sure they are ready to listen to consumers and answer their questions and talk to them in a meaningful way," says Allchurch. "KFC’s bold example has made a lot of other brands sit up and pay attention. In this emotionally charged category consumers rightly expect a brand to behave according to the values they have set out." And a brand that has consistently done this when it comes to its ethical approach is Waitrose. As a spokesperson says "acting ethically is integral to our business". It knows that its customers care passionately about topics such as animal welfare, plastics, food waste, health and their communities, so Waitrose frequently talks to them about these areas, and its progress on them, in all its marketing and content channels. Its latest move on this front is the trial of B-Corp, which is an organisation that certifies companies that meet high social and environmental standards (see here for more information). Waitrose has created a dedicated area online where customers can shop for B-Corp endorsed products, starting off by experimenting with 20 brands (50 products) but, according to the spokesperson, this is "expected to grow." "We know our customers are becoming increasingly interested in the environmental and ethical credentials of what they buy. B-Corp will also helps us gauge how customers interact with brands in this way," she says. Another, newer entrant to the sector, which has built its brand on ethical foundations, is the challenger beer Brewdog. As it says on its homepage, it knows its values and it "fights" for them everyday. These include making the world a better place through its Brewdog foundation which donates £1m each year to charitable projects. "Brewdog has made a real dent on the market, in terms of market share, by having a point of view that has resonated with consumers. This – combined with a great product – leads to the perfect balance of rational and emotional drivers," says Allchurch. In the last couple of years more and more brands have followed in Waitrose and Brewdog’s footsteps by taking a stance on the "big" issues and having a point of view beyond product or category. This is likely to have contributed to the majority of consumers saying their overall impression of food-and-beverage companies is "amazing". For the UK, this was 61% and for the US, 55%. In November, frozen food brand Iceland took the bold, controversial move of launching its Christmas ad with a campaign to raise awareness of the environmental damage caused by producing palm oil. The ad was quickly banned from TV for being "too political" but this just fuelled consumer curiosity and the ad went viral, with consumers and celebrities taking to social media to praise the brand. Another example of a brand taking the lead on a big issue happened in January this year when supermarket Morrisons became the first to trial paper bags, charging higher prices (from 10p to 15p) for plastic. 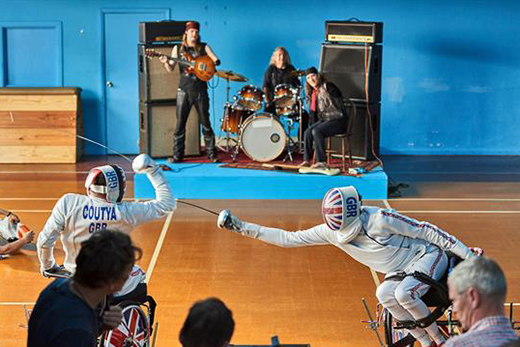 Non-market-leading brands can, and must, take risks. And they’re getting good at it. "[They] are proving to be really disruptive in this category, innovating faster than [market leaders]. The likes of Morrisons and Iceland are good examples of being prepared to put their head above the parapet on an issue that matters to their consumers," says Allchurch. "Communication plays an important role in terms of educating consumers and showing that the brand is part of the solution, not the problem." 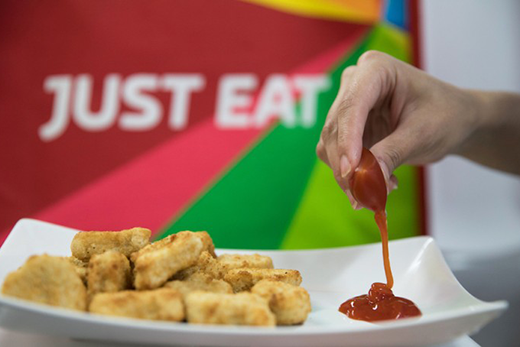 Just Eat teamed up with Skipping Rocks Lab to trial compostable and fully degradable seaweed-based sauce sachets. Over the eight-week London trial, it prevented over 40,000 single use plastic sachets being thrown away. Customer feedback shows that 92% would like to see more initiatives like this, with many saying they would pay a little extra for a more sustainable option. Just Eat now has plans to roll the initiative out on a greater scale. The brand has also joined forces with Eskuta to offer its restaurant partners a discount on electric bikes and scooters in a bid to reduce the supply chain’s carbon footprint. "With more than 100 million miles travelled by our drivers last year, this has the potential to make a real difference to the environment, which in turn can bring real benefit to our business," says O’Brien. These purpose-driven efforts are much needed. The BiM study shows that consumers largely feel food-and-beverage companies do more harm than good, according to Cook this can be an opportuntiy as well as a challenge: "Consumers are increasingly conscious of the impact that brands and products have on themselves, others and the environment; where consumers are choosing to ban food, beverages and ingredients from their diets – not necessarily due to health, medical or religious restrictions – brands that can authentically align to the social, ethical and dietary movements their customers care about will have an edge." It’s vital that brands position themselves this way – as part of the solution rather than the problem – because the BiM study also shows that the majority of consumers say they feel brands are "doing harm" to society. As well as environmental issues, the other significant area where consumers feel brands cause harm is health. The issue of obesity, in relation to children in particular, is deeply concerning to the consumer in the UK especially. As Allchurch says, "food-and-drink brands are at the forefront of this debate and the responsibility and blame is laid at their feet." She likens what is happening in the food-and-beverage category now to what was happening in the alcoholic drinks category around a decade ago. Then, the industry responded to consumer concerns by embracing low alcohol or alcohol-free variants, with many getting behind trends like "dry January": "People felt strongly that alcohol harms society, so brands had to take this on board and innovate. Now consumer attention has turned towards fats, sugars and chemicals in food – as well as the impact on the environment." One way that Mars-owned brand Maltesers has approached the challenge is by building its brand reputation around "doing good" in society, particularly around celebrating diversity and inclusivity. According to Maltesers brand director Rebecca Salisbury, connecting the brand to a social purpose, in this case representing the diversity of its consumers in advertising, has led to "some of the most successful years ever for the brand." "We’re well aware that many people sadly don’t feel brands’ advertising represents them and so we believe we have a responsibility to represent the many different ethnicity, gender, age, nationality, ability and religious beliefs of our consumers," she says. "We have seized the power of our brand to challenge stereotyping and misrepresentation in advertising in a fun, engaging and humorous way and this has resonated." According to Allchurch, we will see more purpose-led initiatives like this and so "brands must understand how they can deliver against this trend". Just Eat’s O’Brien agrees. She says that Just Eat’s strong social purpose has been a "key ingredient" in the brand’s success: "More now than ever, brands need to be conscious of the impact they have on our economy and the environment, and more importantly, they need to be doing something about it. Not just for the brand’s reputation but because it’s the right thing to do." For a brand to tell a compelling narrative in this category it’s vital that any initiatives are relevant, genuine and relatable. As O’Brien says, it’s not enough to simply join a conversation and pay "token homage to a cause or bandwagon for a bit of positive press." "Consumers can see right through it," she says. "But so do our staff. They are the first to question what more we can do." O’Brien is right that, despite all best intentions, it’s easy for brands and marketers to get "trapped in their own bubble" and out of touch with their consumers. That’s why research like the BiM study are so important. "By consciously peering out and listening in, you’ll discover all sorts of touchpoints that will help identify where your brand, and the values that underpin it, can make a real difference."